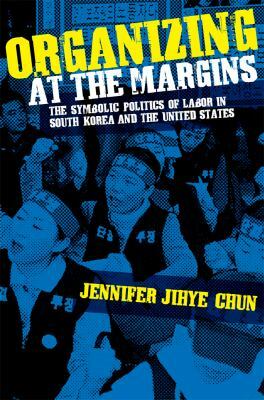 서명/저자 Organizing at the margins: the symbolic politics of labor in South Korea and the United States/ ed. by Jennifer Jihye Chun. 발행사항 Ithaca: ILR Press , 2009. Chun (sociology, U. of British Columbia, Canada) presents a comparative historical and ethnographic analysis of the changing dynamics of the contemporary US and South Korean labor movements, focusing on how in both countries militancy amongst previously marginalized groups of workers sparked new life into their countries'' respective labor movements. The historical analysis explores the ways that global economic transformations are reshaping the balance of power among capital, labor, and the state in similar ways, leading to organized labor''s new attention to such marginalized workers as migrant women in low-paid service jobs, while the ethnographic analysis aims to uncover how and under which conditions such groups of workers can challenge downward pressures on their wages and working conditions through leveraging symbolic politics.